Whatever the occasion, Ross Holmes and the Ross Holmes Band will make it special. He has a very distinctive talent of tailoring every performance to suit his audience. 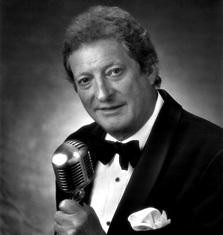 He is the complete entertainer, featuring artistry, professionalism, selection, and style. Ross Holmes Band plays a wide variety of danceable music from Big Band, Beach Classics, Standards, Rhythm & Blues to Party Music and a whole lot more in between. 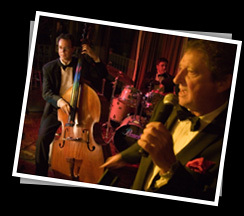 Ross and his band offer one of the finest and most versatile repertoires around, and are noted for their ability to entertain GROUPS OF ALL AGES. It is a pleasure to share our music with you, and we look forward to helping you create your special event. Our Band consists of top notch musicians and we enjoy what we do. I am performing at Rosso Italian Trattoria on the first and third Wednesdays of every month. We are returning to Brookgreen Gardens for the Nights of a Thousand Candles on December 8th, 9th and 10th. Visit the website to purchase tickets as they do sell out.